Hi teachers from all over the world! I teach private lessons in a small town in Argentina. 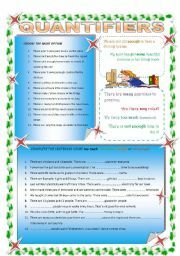 I love teaching and I find ESL PRINTABLES really useful in many ways. Thanks for sharing your time and experience. Three exercises to practice there is/are. True or false (using your classroom), choose the correct word and complete. Thanks to PM template used in background. Nice day! Simple Present and Simple Past passive voice. Four activities to check or revise. Have a nice class!! 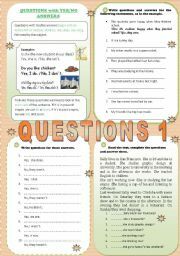 First page: grammar structure and most common Wh- question words. 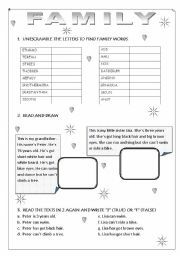 Second page: three activities to practice (unescramble words to make questions, look at the answers and make questions and sentences with underlined information to make specific questions). Third page: answer key. Have a nice class! Yes/no questions. Simple explanation and three different exercises to practice. It worked with my st`s, hope it works with yours! Two activities to practise quantifiers with countable and uncountable nouns. First choose the correct option in each sentence, then complete with too much/many enough or not enough.Thanks P. Martin for the "taking notes" template. Hope you find it useful!!!! 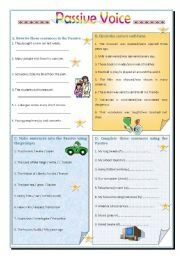 Two pages, four activities to practise family vocabulary. 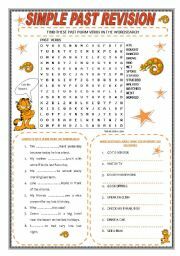 Unescramble, read and draw, read and write T or F,look at the pictures and complete sentences. An extra one: complete your family tree (simple layout). Hope you find it useful! 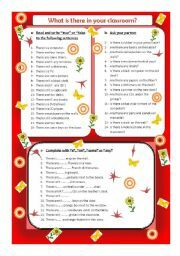 Simple reading and comprehension activity for small children. Fully editable for working with other animals.Hope you find it helpful! 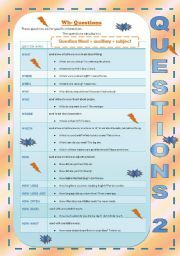 Dear esl friends, just a quick revision on dates, threee activities: match the dates, write them and answer questions. 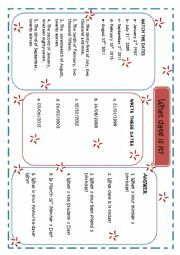 hope you find it as useful in your classes as I do with your printables!